Welcome to our dog photo contest! Do you think that your dog are the most adorable than other doggie. Are you owning the cutest dogs around? The you are comes to the right places! Why not just show off your favorite dog pictures in our dog photo contest. We are welcome you to show off all your favorite dog pictures, tricks they can do, their accomplishments, their dog stories or just why you love 'em sooo much! No matter how old is your dog, we'd love to see every pictures and understand, discover more about him/her. I'd love to see all the pictures of dogs, and I'm sure others who visit this site will thank you, too! 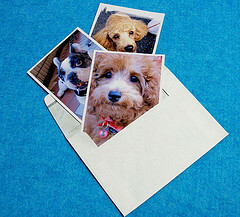 We are really can't wait to see the most cutest dog faces that win our monthly dog photo contest. The honor of your dog picture will be place on our homepage for one month and of course comes with the fame too. Your dog pictures will be seen by thousands of the people though the internet global reach. With the fame comes with it, let's makes your dog become a popular dog in worldwide and the fortunes may will comes from the fame too. Be sure to enter before every month end, as all the new winners will be announced earlier of the months. So come on, just send us your cutest and favorite dog photos by filling the simple form below, it's only takes a few minutes! Do You Have An Handsome Dog Pictures? Do Share! Show off to the world by enter your Cutest Dog Photos today!